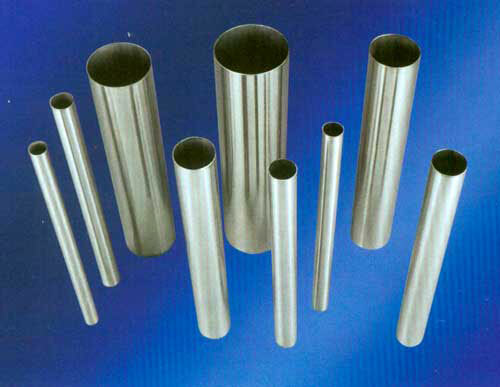 We are renowned Manufacturer, Supplier and Exporter of Stainless Steel Welded Pipes in Ahmedabad, Gujarat. The Stainless Steel Welded Pipes provided by us are manufactured in a process where stainless steel slitted strip is fed from uncoiler and tubes are formed automatically on different stands with rolls followed by TIG welding process without the addition of filler metal. In addition, the welding bead line is polished continuously with the help of an automatic bead polishing machine. The tubes also pass through series of size rolls to ensure oval shape, tolerance, and then are cut to length. These processes are used to manufacture Stainless Steel Welded Pipes on a large scale. These Stainless Steel Welded Pipes find many uses in the industrial and commercial sector.